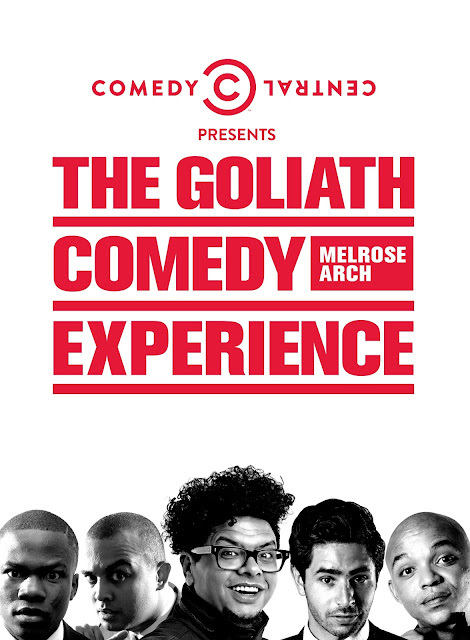 For the second time, South Africa’s best friends of Comedy, Goliath & Goliath, in association with Comedy Central and Savanna, brings you The Goliath Comedy Experience 2017. With last year welcoming in excess of 2000 festival goers adoring sold out shows and standing ovations over one weekend, #GoliathX2017 will be spreading the funny over a 7 day period with the biggest and newest names in comedy, 24 – 30 April, at Africa’s premium comedy club, the Goliath Comedy Club. Catch comedy greats such as Joey Rasdien, Tol A$$ Mo and John Vlismas or legends Joe Parker, Roni Modimola and Mark Banks or next generation funnies such Glen Biderman-Pam and Beach all on the Goliath Comedy Club stage. Donovan, Jason and Nicholas Goliath will also perform their first three man experiential comedy show, a prelude to the launch of their national tour. Whether new to or a fan of comedy – with the tailor made comedy shows on offer, there is something for everyone! NEXT GEN BROUGHT TO YOU BY SAVANNA: Monday 24 April 2017 - Great open spot comedians are a dime a dozen, so 10 favourite up and comers where chosen to entertain and show you where they are going. No competitions, no battles, just brand new next generation funny. OLDS COOL: Tuesday 25 April 2017 - One of the biggest hits from the 2016 Goliath Comedy Experience, this show features South African Comedy legends who are still as funny and relevant as Obama. 30IN5 BROUGHT TO YOU BY SAVANNA: Wednesday 26 April 2017 - 30 comedians will all be doing 5 minutes each with no host. The line-up is a mix of well-established comics and youngsters who’ve been doing this since last week. There’s no hierarchy, each comic draws a number out of a hat and depending on the number they choose, that’s where they are on the line-up. It’s fast paced, witty and entertaining! GOLIATH & GOLIATH: Thursday 27 April 2017 - SA’s funny trio, Donovan, Jason and Nicholas Goliath bring you their first three man experiential comedy show. This show will be a launch to their national tour. HEADLINERS: Friday 28 and Saturday 29 April 2017 - The most popular show from the launch event, for obvious reasons, a heavy hitter show featuring a mix of South African greats. There will be 2 shows this year, Friday and Saturday.